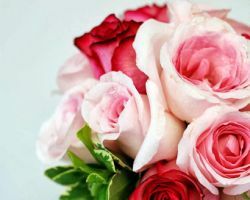 Specializing in wedding flowers and event floral arrangements, Nature’s Petal has an astounding gallery of past bouquets. From these, every new customer can see the quality and creative design of every flower arrangement they have put together. The style of their flowers is usually delicate and intricate but they are able to complement the style of your event or wedding. If their gallery of exotic and colorful blooms does not convince you then the long list of raving testimonials certainly will. When it comes to a florist, being a local trusted establishment with almost one hundred years of experience in the industry is unbeatable. Feldis has remained in the same family throughout their operation so their impeccable service and knowledge of flowers has been passed down. Sourcing their flowers from around the world and using advanced conditioning techniques has enabled Feldis Florist to provide simply the very best flowers in Long Island, NY. 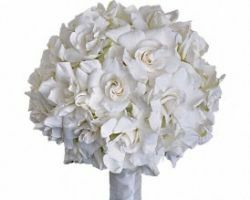 Add to this their total guarantee of satisfaction and you can be sure your wedding flowers will be breath taking. A wedding without flowers doesn’t seem complete. Making sure they are the freshest and most beautiful is crucial. Merrick Flower Shoppe & Fruiterers knows how important their task is and aims to exceed all expectations. 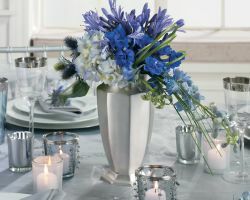 Their expert florists are ready to help you with budgeting so you will be able to make the most out of their services. 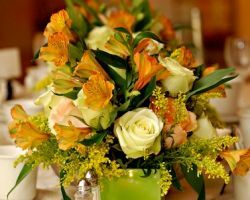 At your first consultation they will discuss how their flowers will best complement your style and the theme of your special day. Although Saipua design intricate floral arrangements for any occasion, weddings have become their expertize. Couples from all over New York have come to love the contemporary-styled bouquets that Saipua has become famous for. The quality of this florist’s flowers comes from a strict attention to detail and to seasonality. They constantly search for new, exotic, fancy or traditional Spanish flowers to use in their arrangements to make their work even more unique. For a couple that appreciates creativity, Saipua is the only choice of florist. From personalized bridal bouquets to entire ceremony arrangements and full person packages, Country Petals and Greenport Florist has exactly what you need for your special day. 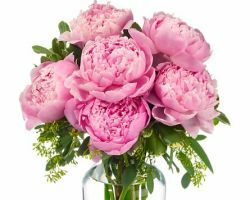 With over two decades of dedicated service to their local community they are now one of the friendliest and most professional flower shops in Long Island. As they use flowers from their own meadows and each arrangement is only made up of seasonal blooms, your wedding will have only the freshest flowers. 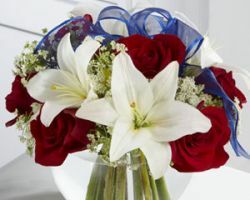 Country Petals and Greenport Florist also offers prompt flower delivery in Long Island. 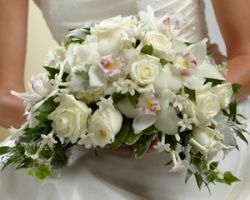 Mineola Florist & Gifts are able to supply bouquets for your reception or wedding flowers for the big day itself. To find the perfect arrangements they ask you to browse their photo gallery. If you have any questions then their professional floral advisors are ready at hand to provide all of the answers you will need. 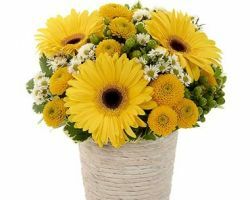 The main advantage of Mineola Florist & Gifts is they provide cheap options with their deal of the day, which will bring their beautiful flower arrangements into any budget. What more could a couple hope for on their wedding day than luscious, colorful blooms supplied by a premier Long Island flower delivery company? At the first consultation their expert florists will inform you of their many choices. No matter what venue or style of your event, they can provide: ceremony flowers, party arrangements, corsages, reception blooms and floral accessories. Lic Florist will ensure you know all of the options so you can make the right decisions for your wedding day decorations. As true floral artists and architects, the team at Florisan is one of the most sought after designers in the whole of New York. Lynn Jawitz, the owner and chief designer of Florisan, studied floral design across Europe and has had influence from Japanese styles. 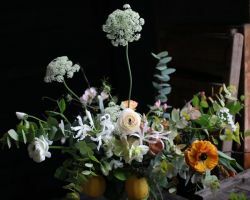 She is known as a floral architect, which is a result of combining her love of architectural design and floral arrangements. This approach to wedding flowers has made Florisan into an award winning Long Island florist. Going the extra mile is something the family operated Jay W. Becker Florist does effortlessly. They ask you to contact their team of talented florists with your ideas or if you are simply looking for inspiration. There are very few flower shops in Long Island that will provide this level of dedicated customer service. This florist’s wedding portfolio will let you see some of their many options while their shop by price section will make it easy to fit all of your wedding flowers into your budget.